A stylish and visual overwhelming horror flick by Gore Verbinski, the guy behind the 'The Ring' and the Pirates franchise. A Cure for Wellness is directed by Gore Verbinski and was released on Feb 17th, 2017. 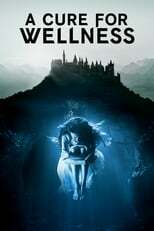 Director Gore Verbinski's Horror & Mystery movie A Cure for Wellness is produced by Studio Babelsberg & Regency Enterprises & was released 2017-02-15.